We at Gentry Custom Remodel have out own custom cabinet shop. We take great pride in out cabinets and the attention to detail that goes in to each and every one. 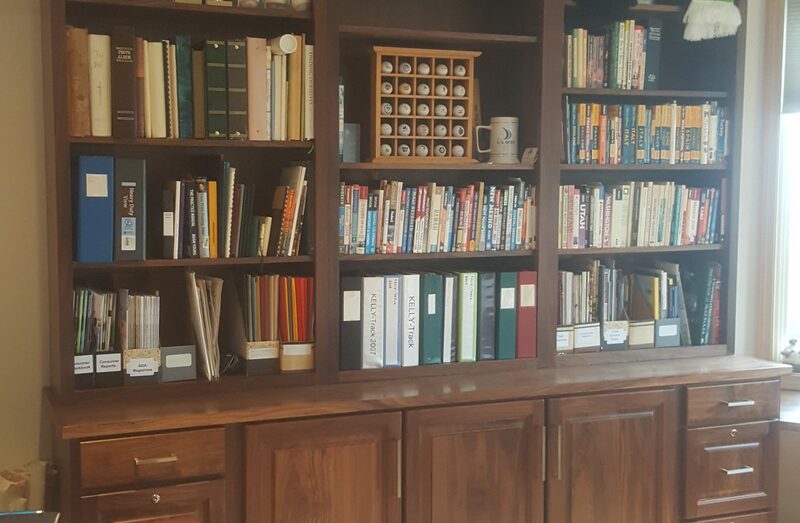 From a Custom built in book case to new kitchen cabinets we produce some of the finest cabinetry available in Washington state. All our cabinets are solid hardwood, from the face frames to the hardwood plywood we use. Every peace is handpicked by one of our craftsmen. Should you want a Walnut desk, a Sapele library or painted Maple cabinets we offer every species of stable hardwood. At Gentry Custom we utilize the most advanced joinery you can find, building our cabinets the same way my great grandfather used to. Full length locking L joints join our face frames to the box, then a locking L joint affixes the bottom to the sides and an insetting back ties everything together. Industry leading joinery and glues set our cabinets apart. When we are finished the result is a cabinet that will withstand the test of time. We use only the finest hardware on all our projects. Soft close hinges and full extension ball baring rails are our shop standards. We also stock and array of undermount soft close drawer hardware, hidden toe kick drawer systems, and a wide range of kitchen cabinet accessory’s to truly enhance and optimize your kitchen.